When research in the United States gets back beyond a certain point, records are fewer and less likely to make direct statements. It is important to remember that any conclusion reached when the records are not clear may need to be revised if new information comes to light. Keep your mind open to the chance that you may be incorrect or may have not looked at all the records. Never assume that your initial “hunch” is Gospel Truth. Genealogy Tip of the Day is sponsored by GenealogyBank. We appreciate their support. Search for your relatives in their genealogy search and see what you discover. Don’t forget to digitize photos and papers that only you have. Identify people you can in pictures–include “how” you know who they are. Back up your data–because that’s really important. The edges of a document can often contain clues just as significant as those in the main body of a document. Clerks may squeeze in additional text for legal reasons, pastors may squeeze in parenthetical comments about a parishioner, etc. Sometimes the edges themselves can be a clue. Many times when documents are digitized or microfilmed, it may not be crystal clear which “front” goes with which “back.” That determination can be difficult when the documents are a variety of sizes, blank sides aren’t digitized, etc. And there are times when knowing which “front” goes with which “back” is essential to completely analyzing and interpreting the document. This relinquishment from a homestead application in Nebraska was one of those documents. Comparing the edges made it clear that I had the front and the back of the same thing. It may require a little creativity with a graphics package to place the edges to where you can compare them, but it may be worth the effort. There are more details about this image in our “detailed edges” post. 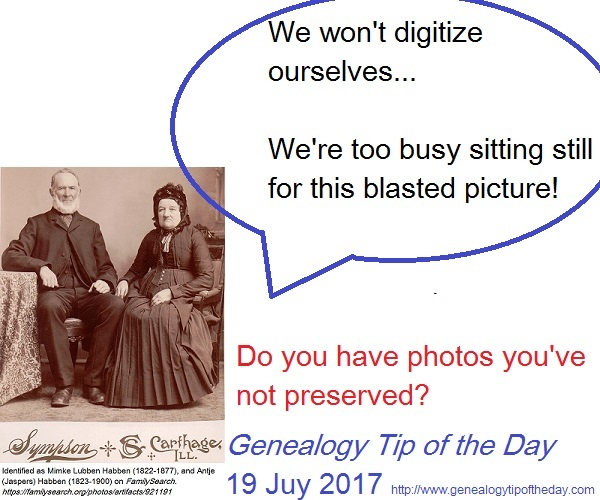 And thanks to all who participate in Genealogy Tip of the Day! It is appreciated. Sometimes the connection the adminstrator of an estate has to the deceased is obvious or easy to determine. Sometimes it’s not. It’s always worth finding out if there is a connection. For years, I assumed incorrectly that the administrator of the estate of Michael Trautvetter who died in Hancock County, Illinois, was a neighbor, friend, or interested creditor. 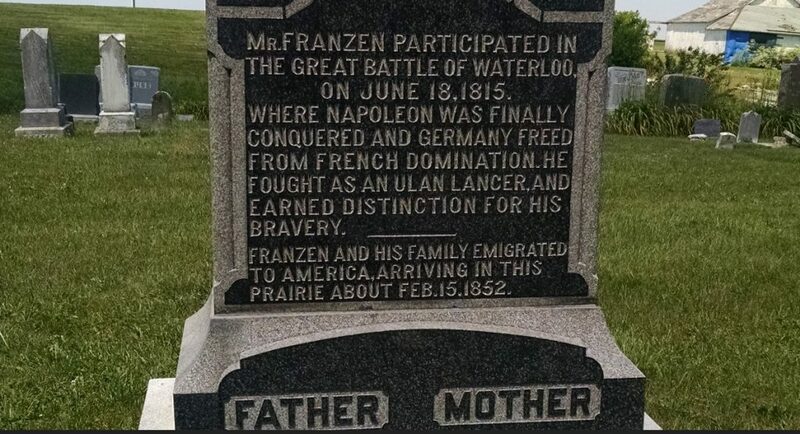 I knew little about Trautvetter’s family and, after a while, gave up on determining what the relationship was. Years later, after learning more about the family it was discovered that the administrator of the estate was the husband of a daughter of Trautvetter’s sister. The sister had a marriage in Germany I was unaware of and that was the maiden name of the administrator’s wife–which meant nothing to me at the time. Always ask yourself who that administrator is. There may be clues there. Who Oversaw the Estate of the Young Widow’s Dead Husband? Always pay close attention to the person who was appointed to be the administrator of the estate of a man who died with a wife and young children. If the person is not clearly a relative of the deceased individual, it very likely is a biological relative of the wife–or perhaps her second husband. And if there is a will and the wife is appointed executor, look carefully at who signed her bond. Those bondsmen were often relatives of the widow. It can be tempting to think that if one keeps looking and tries hard enough, that there’s “got to be” a document somewhere that answers all your questions. But most of the time there’s not. To be certain, I’ve found a page of court testimony that outlined the family relationships and military pension affidavits that answered many of my questions. 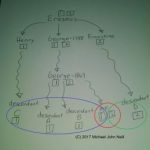 But in most situations, determining the relationships required looking over all the snippets of information I had from a variety of records, analyzing those snippets, and trying to determine what they said in the aggregate. No clue is too small. There might be that one piece of paper in a courthouse that will answer all your questions, but likely there’s not. Chances are it’s quite a few smaller pieces of paper that need to be analyzed together. 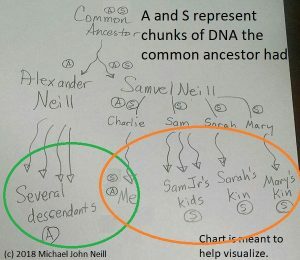 That’s why it is important to find as much as you can about your “confusing ancestor” and his circle of relatives and friends. More details are on our announcement page. Those whose families have lived in the United States for centuries sometimes think that their relatives will not appear on a passenger manifest.That is not necessarily true. It is possible that your ancestor traveled overseas for his work, for pleasure, or as a part of military service. My great-grandmother’s families had lived in the United States since at least the 1780s and her sister’s Red Cross service during the first World War caused her to be on a passenger manifest.